Forget The Rest, Try The Best! Buy a dozen bagels get half dozen free! We at Vic’s Bagel are proud to be the best bagel shop in Bethlehem, PA, and the surrounding area. From bagels to egg platters, we have got most flavorful and tastiest breakfast food in Bethlehem, PA. 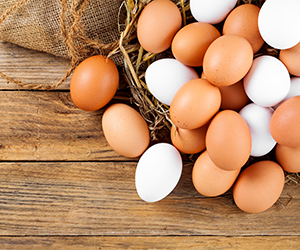 Besides delicious, chewy bagels, our eatery is the place to stop in for egg platters, omelets, and breakfast sandwiches. 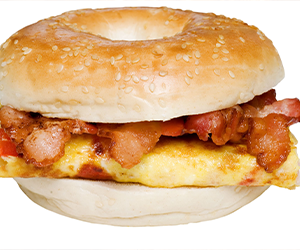 Just like our bagels, all of our breakfast sandwiches are made from scratch. Our customers are never disappointed when they come in to enjoy our wonderful food. Our friendly staff delivers top notch customer service to make sure that everyone that steps through our doors become returning customers. 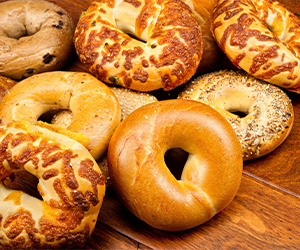 We provide our customers with a personalized experience that no other bagel shop in the area can offer. Regardless of what our customers have a taste for, we can give it to them. We offer fast, friendly service to let you get to work or any other destination on time. Other bagel shops in area only offer common bagel flavors, but Vic’s Bagels believes in going the extra mile in order to see that you, our customers, are always satisfied. When the mood calls for breakfast anytime of the day, ask the friendly staff at Vic’s Bagels in Bethlehem, PA to create one of their delicious entrees or sandwiches!